As hinted at by the Tournament Pack, new Ancient Gears and Crystal Beasts in the cut. (1) If this card attacks, your opponent cannot activate Spell/Traps until the end of the Damage Step. (2) If this card was Fusion Summoned using 2 or more “Ancient Gear Golem” and/or “Ancient Gear Golem – Ultimate Pound”, this card can make a number of attacks per Battle Phase equal to the number of those monsters used. (3) If this face-up Fusion Summoned card leaves the field by an opponent’s card effect: You can Special Summon 1 “Ultimate Ancient Gear Golem” from your Extra Deck, ignoring its Summoning conditions. Must be Special Summoned by Fusion Summon or the following method, and cannot be Special Summoned by other ways. (1): Once per turn: You can banish 1 “Crystal Beast” monster in your GY; this card gains ATK equal to the banished monster’s ATK until the end of this turn. (2): (Quick Effect): You can Tribute this Fusion Summoned card; return all cards on the field to the Deck. TL Note: The “Ultimate Crystal God” part of this card may seem confusing at first. 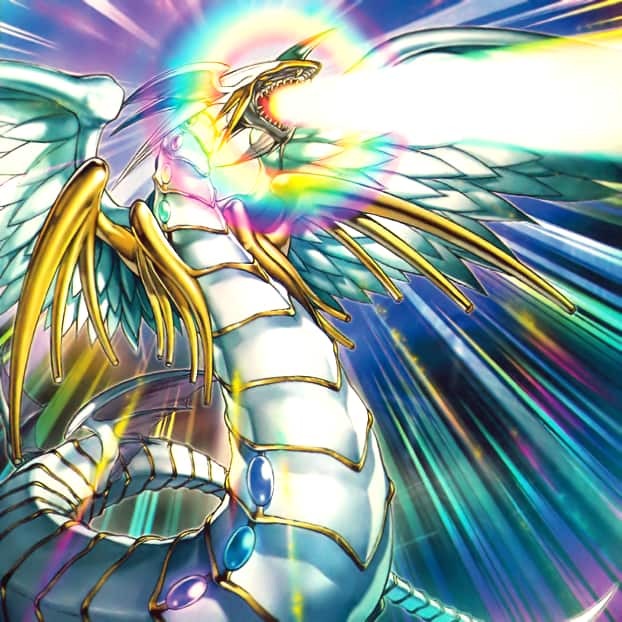 In fact, both Rainbow Dragon and Rainbow Dark Dragon are considered “Ultimate Crystal God” monsters – that part of the name was dropped in the TCG versions of the cards. Certain cards actually ask for “Ultimate Crystal God” cards in the OCG versions of their text, such as Rainbow Gravity, but that was worked around by specifying the only two (at the time) “Ultimate Crystal God” monsters that existed. Note that Malefic Rainbow Dragon omits the “Ultimate Crystal God” part from the name, meaning it is NOT part of this theme unlike the other 3 Rainbow Dragons. This card, however, throws a big, sparkly wrench into all that, hence our choice to include “Ultimate Crystal God” in the effect text translation.